It seems quite strange that tattoos would still be banned under various circumstances at this point. I mean, tattoo bans in the workplace have pretty much always existed and I don’t expect that we’ll be seeing the end of it anytime soon. The US Marines have long since banned tattoos from their recruits that extend beyond the elbow or the knee. It isn’t just the marines either – various police forces also ban tattoos. The issue seems a little strange to me – I mean, in the case of the military, why would a tattoo hinder someone’s ability to kill people? Or in the case of the police, why would a tattoo hinder anyone’s ability to arrest people? Any way you slice it, there just doesn’t seem to be ample reason for banning tattoos in either the military or the police force. 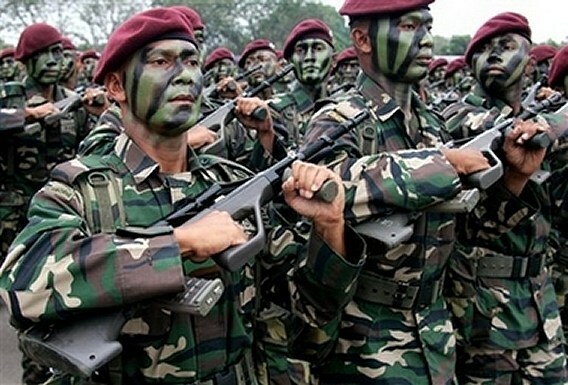 That’s why I was surprised and pleased to see that the Malaysian Armed Forces have just announced that having tattoos provides no hindrance to joining their ranks. This is surprising to me first and foremost because it is a government run unit that one wouldn’t typically think would be okay with tattoos. The secondary reason why this is surprising to me is that Malaysia isn’t exactly a hotbed of tattoo activity. That’s not to say that there aren’t tattoo enthusiasts and artists in Malaysia, but the numbers there are considerably lower than in many other countries. It’s great to see Malaysia getting something like this out of the way and out into the open. It’s a grand example for other nations to follow and a big step toward removing the bias that what’s on a person’s flesh somehow impacts the job that they can do.